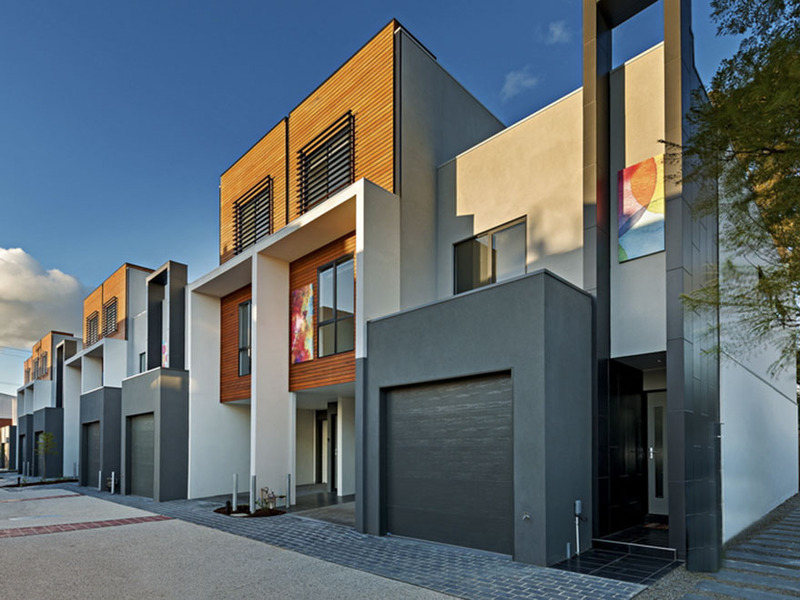 The Lumiere development is located at 22 French Ave, Northcote. This site was purchased as a cleared block of 2,560 square metres. Plans for the development site were taken through the planning process with the Darebin City Council. A planning permit was issued for 23 townhouses - a mix of 2 & 3 level designs. The architect commissioned was Rothe Lowman. The result was a very modern, stylish design with the Rothe Lowman touch. The pictures show the finish site in July 2014 just before the new owners took possession of their townhouses.